MooreBoys Beagles are an excellent source of Gundogs, based on selective breeding from our Top Hounds. Our Pups are home raised, socialized, AKC or UKC Registered Beagle Gundogs for hunting. Trials?, We have the current 2010 UKC Arkansas State Champion, King of Hunt and 2010 King of Hunt on the Bench. 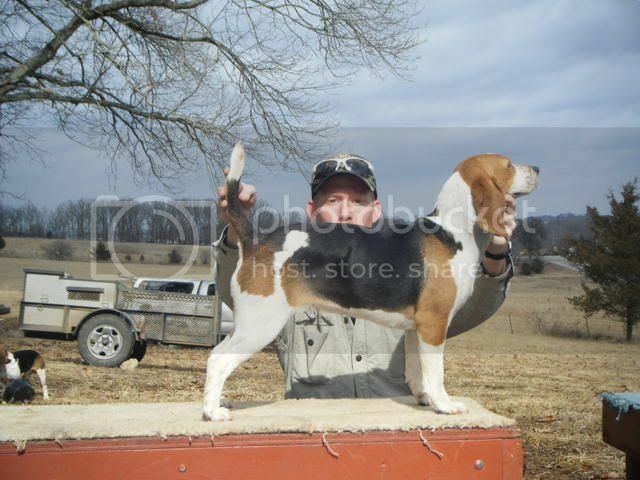 He also was Arkansas State Champion in 2008.....So, If you are thinking about a Beagle purchase, check with us first. We might just have a pup out of Trimmer. Click on MooreBoys Hounds to the right to view our stock. Our kennel is home to the 2008 & 2010 UKC Arkansas State Champion. 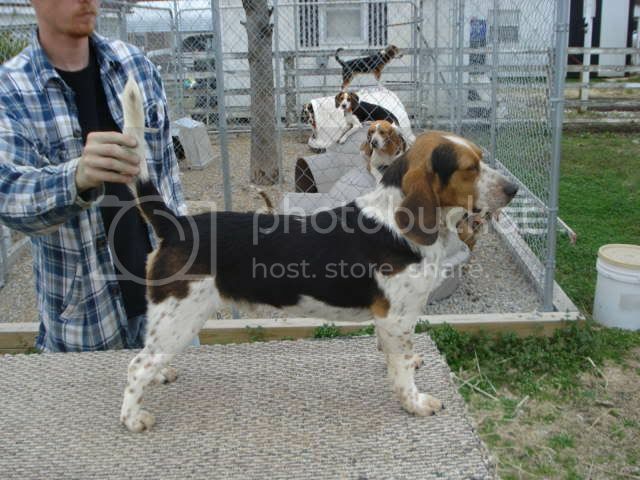 Our GRCH GRHBCH TopNotch Missouri Trimmer was crowned King of Hunt in Feb. '08 and again in March 2010. 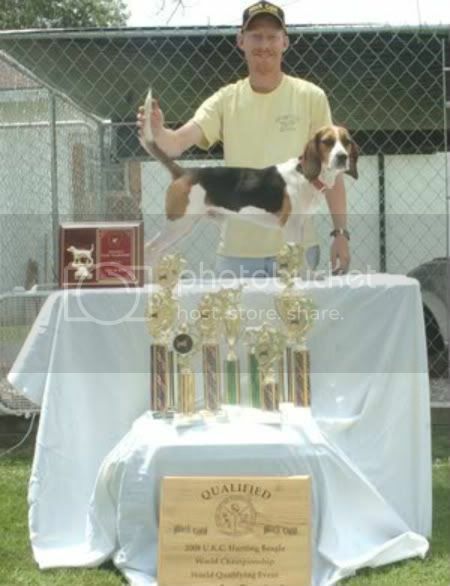 Trimmer also qualified for the 2008, 2009 & 2011 UKC World Hunt, in which he participated and will participate. Not only can Trimmer hunt, he looks good too, having won the 2010 UKC Arkansas State King of Hunt on the Bench. Below is a shot of Jake Moore holding a Swamp rabbit, Pop Moore is holding our Lil' Sue who worked the big swamper to the gun. Notice the Swamp Rabbit is almost as big as Lil' Sue. 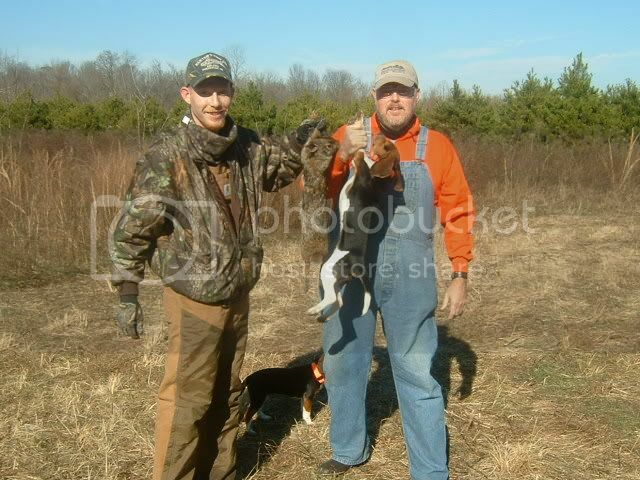 I sure enjoy hunting with my Pop and Lil' Sue. Below is a picture Jake with Mr. Buster Branko, our Branko Stud Dog. Buster is a GRCH HBCH and has really got some gears under him. 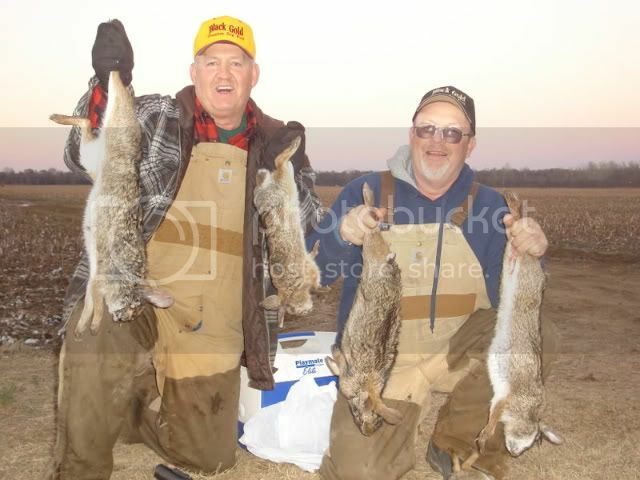 Pictured below are Mike Ridenhour, publisher of The American Beagler Magazine and David N. Tipton, owner of Top Notch Kennels, holding their first ever Swamp Rabbit Harvest. 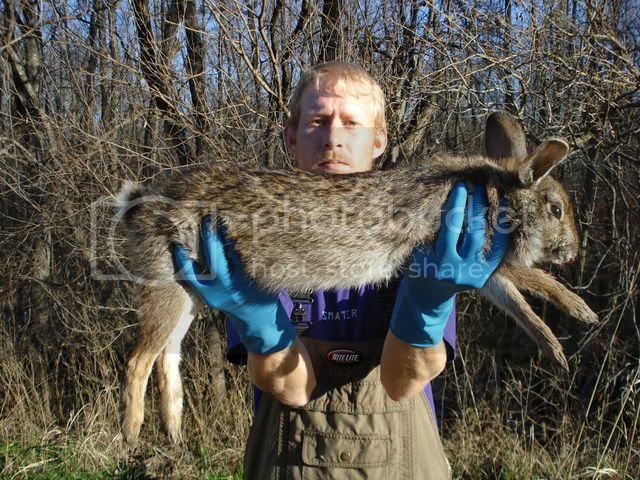 Below is a good example of a Northeast Arkansas Swamp Rabbit. There are more here just like this ole big one waiting on you to come harvest. Come hunt with us. Give us a call for hunting info. Thanks for taking the time to look. Jake Moore, Paragould, Arkansas. Call 870-450-1238. E-Mail lwm@grnco.net or jake79@grnco.net Pictures and more info available on request. Call or e-mail to hunt with us this season!